The initial focus on 2009 was all about making a safe and secure social network for kids, but the prototype had never been released as a public version. The current mission is different, but keeps the aim to create an online place for the whole family, even kids, where people can create, learn and share safely online. 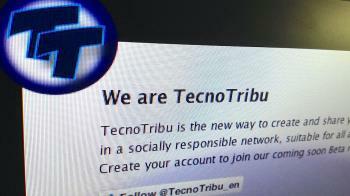 TecnoTribu is the new way to create and share your favorite stuff or topics in a socially responsible network, suitable for all audiences. Hopefully lessons learned and experience of making constant market benchmarking, will drive us and this is not like starting from scratch. We are able now to make some early release in a matter of weeks. Furthermore, we have the privilege to make it happen at this early stage with the Tetuan Valley ecosystem, a pre-accelerator of Internet startups, which strongly focuses on developing the Startup Spain initiative @StartSpain. We are part of the amazing 10 teams of the sixth edition of Tetuan Valley Startup School (Spring 2012). We all share the common goal of completing the program in April 2012 with a minimum viable product (MVP). So, we will tell our news in this blog - what we've achieved not just promises - on Twitter and on Facebook. Indeed, we used the new timeline Facebook feature, to do a flashback and tell our story from the very beginning. Follow us on Twitter in english, spanish or french. You can "Like us" on Facebook in english, spanish or french. To contact us, you can also use this form.